Tonight, Samsung announced their newest non-hardware creation called TecTiles. These are programmable NFC tags that will be available through major carriers at the launch of the Galaxy SIII. Their goal with TecTiles is to help NFC reach the masses and become a part of our everyday lives. Since the GS3, Galaxy Nexus, Nexus S, Galaxy SII (some models), HTC One X and so many other devices all have NFC chips inside, this should be simple, right? If you are not familiar with NFC stickers like these, I’ll do my best to explain them. With an NFC sticker like TecTiles, one can program it to accomplish a single task that under normal circumstances would take more than a few seconds of your time. 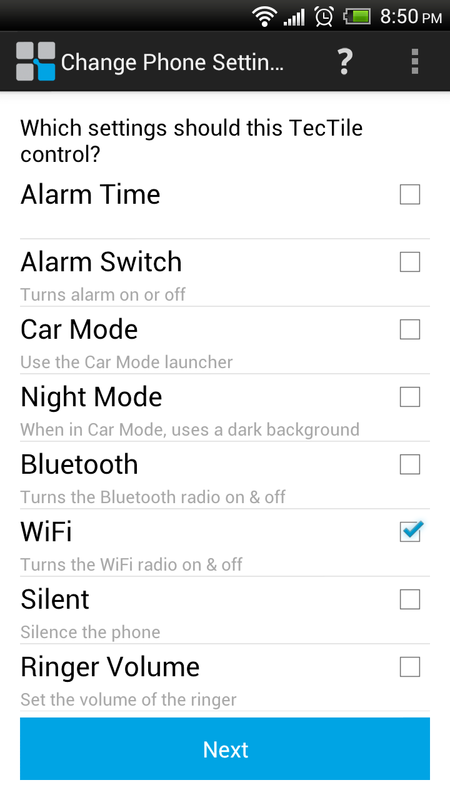 For example, you could program a TecTile (using your NFC phone to program it) to toggle WiFi on and off. Assuming you have an NFC-enabled phone, all you would have to do is touch your phone to this sticker and it should toggle your WiFi. A restaurant owner could place one inside the door of the building so that customers with NFC phones could quickly tap the sticker and check-in through Foursquare. You could place one of these stickers on your desk and have it automatically send a text to your wife that read, “Hi Honey, on my way home from work!” as you leave work. The possibilities are sort of endless if you think about it. You could launch an app with a programmable NFC sticker, post a Facebook update, open a webpage or even send a Tweet. TecTiles specifically will be available for $14.99 for a pack of 5, again, at all major U.S. carriers. The TecTiles app that helps you program these as many times as you’d like, is available in the Google Play store. Here is a link to the TecTile site. Are you ready for mass NFC adoption? I sure am. 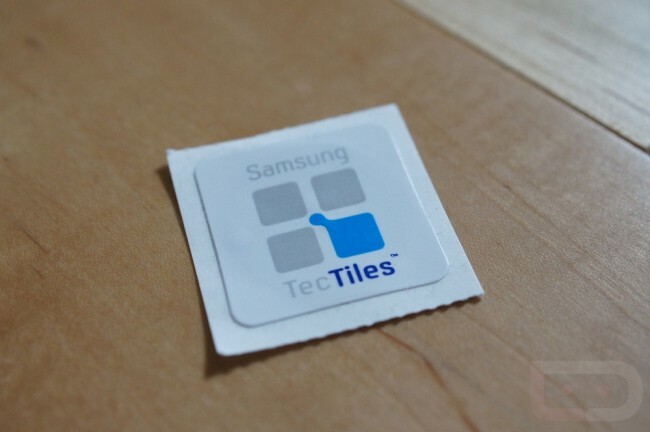 DALLAS — June 13, 2012 — Samsung Telecommunications America (Samsung Mobile) is helping consumers realize the potential of NFC technology today with the creation of Samsung TecTiles™ and the TecTile™ programming application. With the largest user base of NFC-enabled devices in the United States and TecTiles available in all four major carrier stores and at major online retailers at the launch of the Galaxy S III, Samsung is ensuring NFC becomes a part of daily life. Samsung TecTiles will transform how businesses large and small engage with consumers. On premise, TecTiles enable consumers to check-in on Facebook® or foursquare®, connect to Wi-Fi® or download content. Off-premise, businesses can use TecTiles as a way to market to and engage with consumers by enabling reward programs and to download discount offers or content. Priced at $14.99 for a pack of five, TecTiles programmable NFC sticker tags are now available for purchase online and in-store at AT&T, Verizon, Sprint, and T-Mobile. 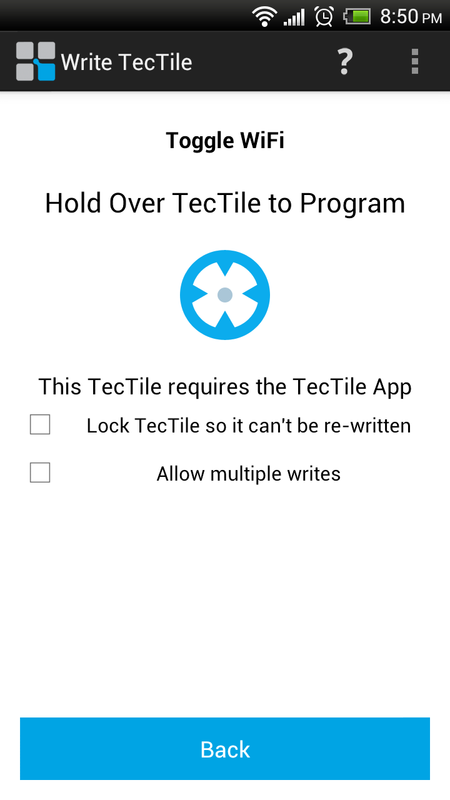 The Samsung TecTiles app is now available for download at the Google Play store. 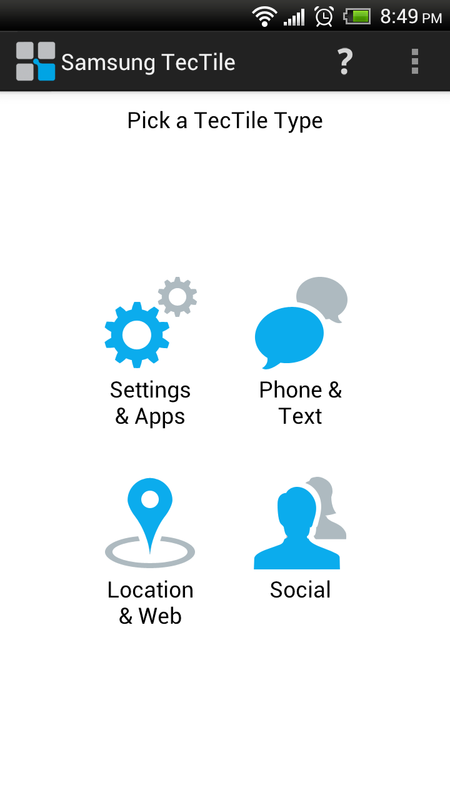 © Samsung Telecommunications America, LLC. Samsung, Galaxy, Galaxy S, and TecTiles are all trademarks of Samsung Electronics Co., Ltd. Android and Nexus are trademarks of Google Inc. All other company names, product names and marks are the property of their respective owners and may be trademarks or registered trademarks.